The Kips Bay Boys & Girls Club announced today that the 39th Annual Decorator Show House will take place April 28 - May 26, 2011. 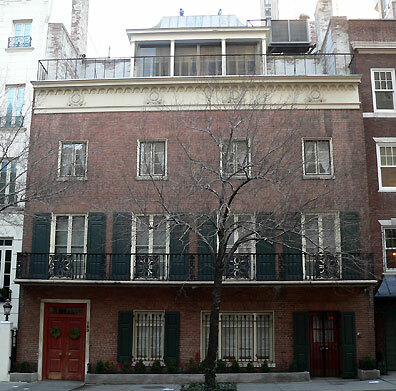 It will take up residence in an striking, neo-Federalist style mansion at 163 East 63rd Street. The four story home was once owned by John Hay "Jock" Whitney and boasts unique historic details acquired during his travels abroad. I've walked by this home many times and always wondered what it looked like inside so I'm very excited for this year's show house. No word yet on which interior designers have been chosen to decorate the 16 room house but I will definitely keep you posted!